As October closes there are a number of items just starting up. Last week saw the release of Sangha Uvtha Saikee, a trio recording, double CD from Kris Gruda, Mario Schambon and myself. This release on Bipediment Recordings can be purchased for as small an amount as $4 for download or $8, shipping included, for physical CD. Soon to be released on ILSE is The Fortune by John Ajac and myself. You can read about the release and the ILSE label here. Danny Feedback’s Crack Rock Opera will begin its three weeks of Saturdays on November 5th at the Parliament House. For advance ticket orders call the Bread and Circuses box office on 1-800-691-5131. One of my pieces is included on a compilation CD from the great ILSE label. The track, Upon Returning, can be heard here. The compilation entitled Little Bunny Was So Happy: Experimental Music From Florida is chock full of excellent improvised and experimental music tracks. On October 24th I performed a solo saxophone/electronics/laptop live soundtrack to a short film by the Quay Brothers titled Rehearsals for Extinct Anatomies (1987) at Urban ReThink. It was a very satisfying performance and began sparking ideas for my next project. Stay tuned. And above all, I wanted to point out and thank the photographers whose works are used on this website: Kris Gruda and Anna Funk. 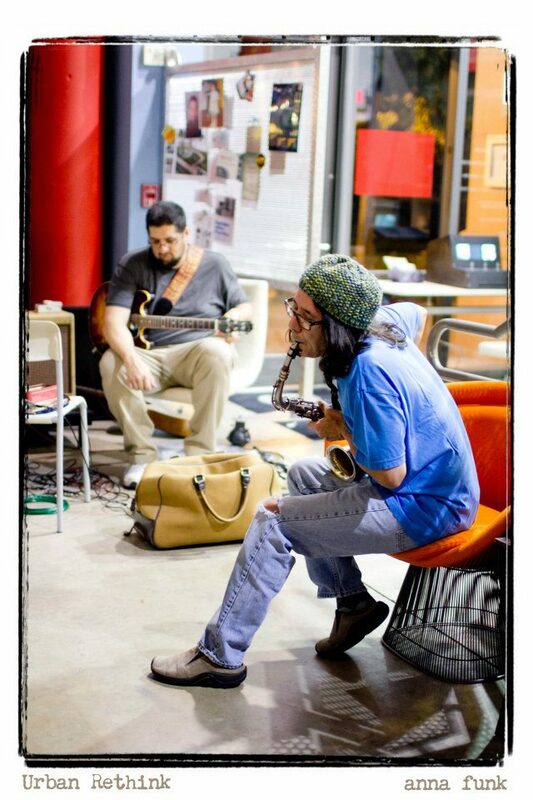 Kris Gruda is a musical cohort of mine and an amazing guitarist and improvisor. Anna Funk is an outstanding photographer and creative mind. She has a seriously keen eye and catches the deepest of moments. Thank you both very much.